Figure 6. Fuel Cooler Hoses Installation. Figure 5. Fuel Cooler Installation. Install two fresh water coolant hoses (Figure 6, Item 5) on fuel cooler (Figure 6, Item 3). Install two clamps (Figure 6, Item 4) on fresh water coolant hoses (Figure 6, Item 5). Tighten clamps (Figure 6, Item 4). Install four clamps (Figure 6, Item 1) on two hoses (Figure 6, Item 2). 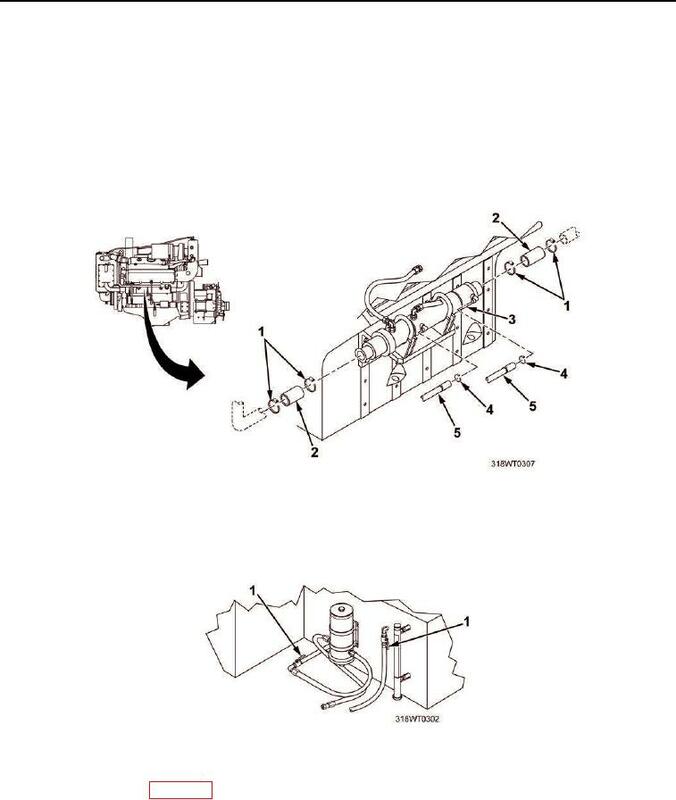 Install two hoses (Figure 6, Item 2) on fuel cooler (Figure 6, Item 3). Tighten clamps (Figure 6, Item 1). Open fuel supply valves (Figure 7, Item 1). Figure 7. Fuel Supply Return Valves. Check fuel cooler (Figure 6, Item 3) for leaks.